BÀ RỊA-VŨNG TÀU — The southern province of Bà Rịa-Vũng Tàu is making efforts to develop high-tech agriculture so that it can grow high-quality products with high yields. 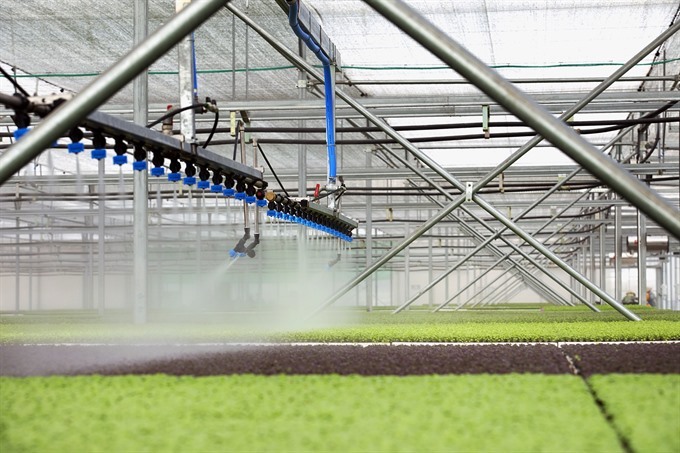 Its Department of Agriculture and Rural Development reported that some 33 organisations and individuals in the province were investing in high-tech agriculture. They applied modern technologies to improve cultivation on 1,047ha, harvesting nearly 23,600 tonnes of vegetables, melon, grape fruit, banana and pomelo annually. Besides, some 87 farms equipped with modern know-how have been built in the province to raise pigs and poultry, and they account for 38 per cent of the poultry and over 53 per cent of the pigs raised in the province. Fifteen aquaculture production facilities are applying modern technologies, the province said. The province said with many agricultural goods without details of origin available in the market, demand for information about safe agricultural products is huge. It said consumers lacked information about safe agriculture products while producers of high-quality agricultural produce lack information about the market. To overcome these challenges, the province regularly organises promotion campaigns to introduce organic and high-tech agricultural products to local consumers. These campaigns attract lots of consumers, which helps the province further develop the high-tech agriculture sector. One of the most effective campaigns is a TV programme called “Green Agriculture-Clean Products” jointly produced by Bà Rịa-Vũng Tàu Radio and Television and the departments of Agriculture and Rural Development, Trade and Industry, and Health. It advertises organic and safe agriculture products as well as local agricultural specialities. Also in the programme, audiences are told about high-tech agricultural projects. Customers watching the programme can know about places and stores selling organic agricultural products and models that successfully apply modern technologies. 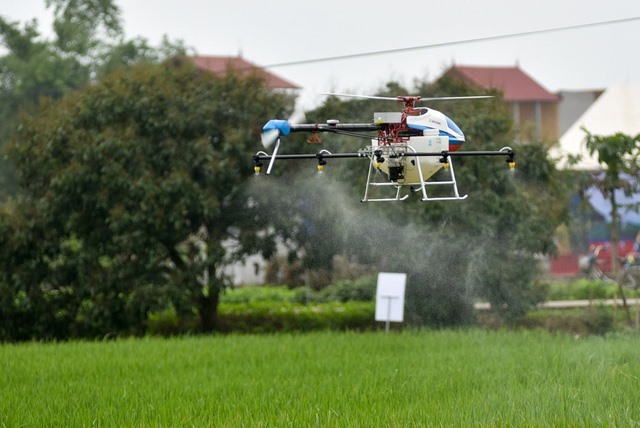 Last year, Bà Rịa-Vũng Tàu organised an investment promotion conference discussing the potential of and opportunities to invest in high-tech agriculture in the province. The conference attracted nearly 300 Government and provincial leaders, experts, investors and business executives. The conference disclosed plans for developing high-tech agriculture in the province until 2020 with a vision towards 2025 and preferential policies and solicited investment in the sector. In another development, the Government has approved changes to land use plans for up to 2020 through Resolution No 117/NQ-CP dated September 06, 2018. Accordingly, the lands used to develop modern technologies include nearly 3,900ha in Xuyên Mộc District, over 1,000ha in Châu Đức District, nearly 185ha in Đất Đỏ District, and 20ha in Tân Thành District. The province has sought investment in high-tech agriculture, and nearly 50 companies have submitted proposals to invest in high-tech agricultural projects on a total of 5,000ha. It has met with district authorities and other officials to collect opinions to help the investors set up their projects. Developing high-tech agricultural complex using modern technologies to grow vegetables fruits and breed livestock. Developing high-tech agricultural complex with a number of areas earmarked for growing crops and raising livestock. Modern technologies will be applied to grow vegetables and fruits and raise pigs and poultry. Developing high-tech agricultural park for growing vegetables, fruits and flowers.